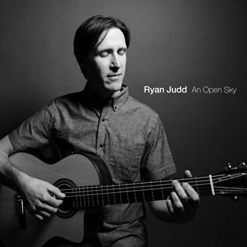 Ryan Judd’s An Open Sky is an incredibly soothing and relaxing album of ten original duets (composed by Judd) for finger-style acoustic guitar and cello - a combination you don’t see (or hear!) very often. Judd is also a board-certified music therapist who specializes in helping children with special needs, and the music for this album was inspired by the healing work he did with a young girl with brain cancer. Not surprisingly, there is a wide range of emotions expressed in the music, but overall, the album is quiet, reflective and very beautiful. Strongly influenced by the late guitarist Michael Hedges, Judd has spent decades dedicating himself to mastering finger-style guitar and creating his own unique style as a performer and composer. The cellist on the album is Kristen Miller, a very accomplished and versatile artist in her own right. An Open Sky begins with “Looking Back,” a very contemplative piece that clearly demonstrates how effective the quiet simplicity of plucked and strummed guitar strings is when combined with the bowed strings of the cello. Deeply emotional and very expressively played, it’s a gorgeous beginning! If possible, “The Embrace” is even more poignant - especially when thinking about a sweet child (and her parents) dealing with such a devastating illness as brain cancer. The title track is exceptionally peaceful and I think the contrasting plucked and bowed strings are at their most evocative best in this piece. As its title suggests, “Weightless” floats effortlessly on air as it wraps the listener in warm, comforting sounds. “Spanish Sunrise” is a favorite with its warmth and tranquility as well as the suggestion of the sky’s pastel colors at dawn. On “Her Beauty Shines Through,” Miller goes into the deep bass of the cello to create a velvety backdrop for the guitar’s tender melody - also a favorite. “Under the Willow Tree” feels very much like sitting under a big tree on a warm spring day, just enjoying the sunshine and the sounds of nearby birds. “Winter Harbor” expresses a melancholy poignance that comes straight from the heart - a gentle closing to a beautiful album. Ryan Judd has released several other albums, but this is the first one I’ve heard, and I’m very impressed! Kristen Miller should also be commended for her lovely cello playing on An Open Sky. The album is available from Amazon, iTunes and CD Baby. Very highly recommended if you are looking for an album of peaceful, soothing music.